In 2011, I found myself in the Middle East three times. A magical trip to Jordan, 8 days in Dubai, and a stop in Doha, Qatar. After Jordan, I couldn't look at falafels, pita, or cucumbers in yogurt. I was off of anything Middle Eastern. Slowly, I'm starting to crave chickpeas and hummus again. Last week, I showed where I find a taste of England in New York. This week, I returned to the Middle East in New York at Sahadi's, a specialty food store that has been operating in Brooklyn on Atlantic Avenue for almost 60 years. 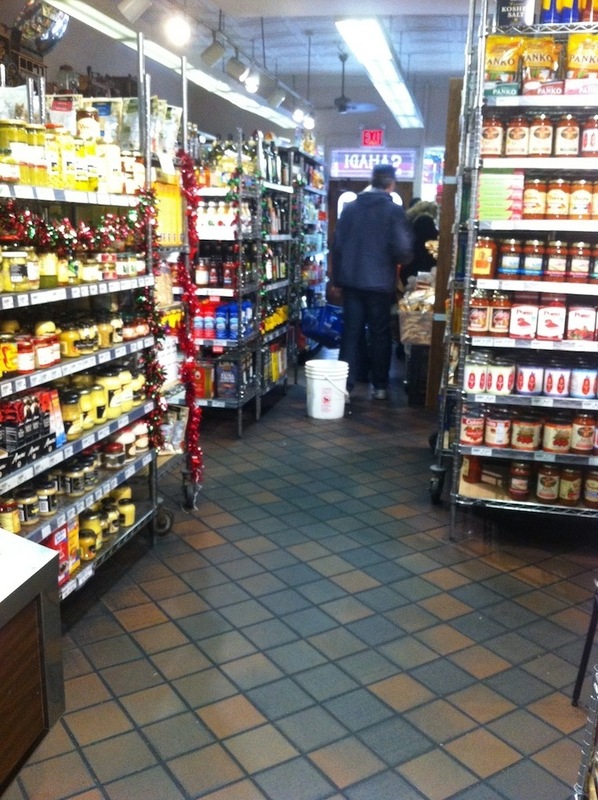 There are hundreds of bulk bins filled with treats like dried fruit, nuts, chocolates, and coffee beans. 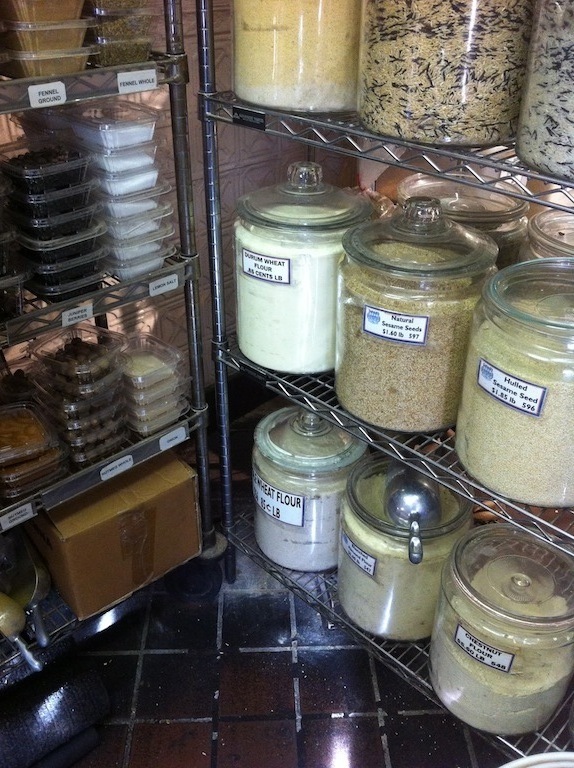 You can find any grain or spice that you want in huge glass containers...and you can get a lot or a little! Your choice. Head to the back for prepared falafel and sandwiches, generous scoops of hummus, and cheese. We're talking hundreds of varieties of cheese-many from the Middle East that you may never have heard of. I loved looking at all the different types of feta, something I use almost every week on salads. Turn left out of Sahadi's and walk a couple of doors down to Damascus Bakery for delicious pita bread. The Sahadi family is originally from Lebanon (I desperately want to go to Beirut) and still continue to bring that Middle Eastern flair and taste to New York. If you don't live in New York, they'll ship anywhere in the continental 48 states! They have great gift baskets, like "Breakfast in a Bag" and "Coffee Lover's Delight."